The UV-Spot Curing intensity Meter 5-10 is a high quality electro-optic UV measuring instrument. It is self-contained, battery-operated, portable, light-weight and easy to handle. It is specially designed to measure and display peak UV intensity emitted by UV spot curing systems in order to evaluate system performance. The measurement head which contains the optics is attached to the lower end of the torch-like instrument. Light guide adapters which fit into the measurement head are available from 5 to 10 mm to fit most light guides. 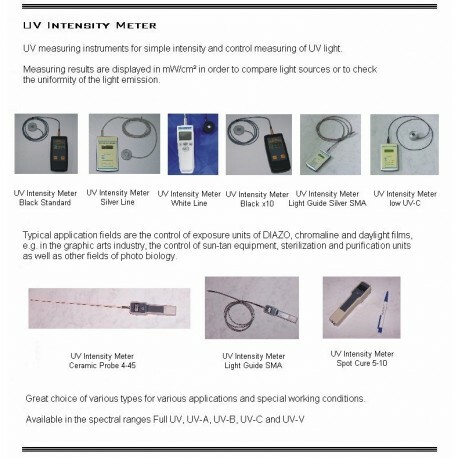 The UV-Spot Cure intensity Meter 5-10 is available in various UVbands. This flexibility allows the instrument to be used in a variety of monitoring applications. and reflectors can cause decreases in irradiance and create curing problems. 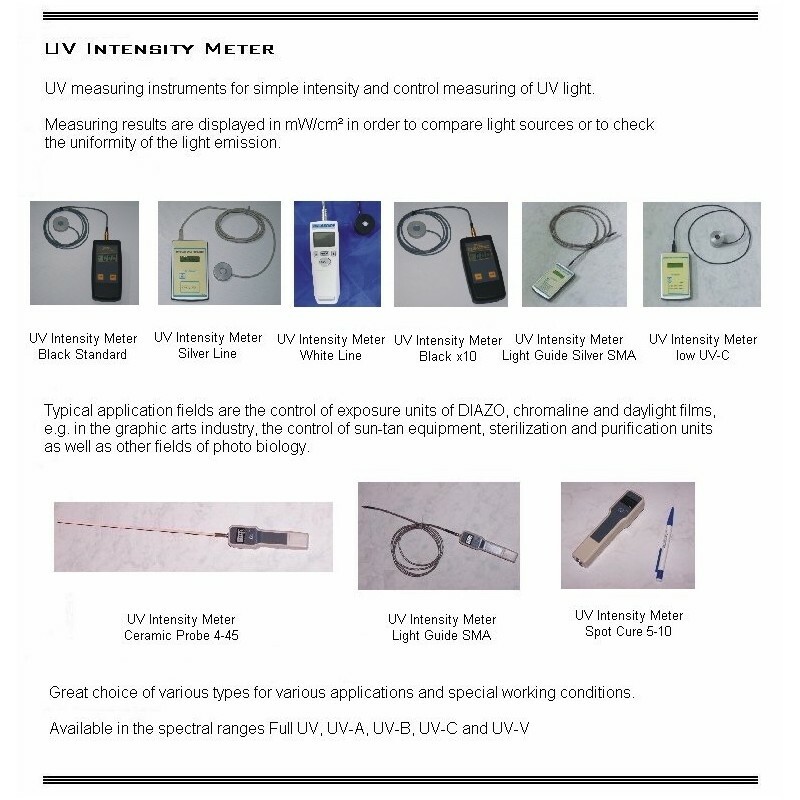 The UV-Spot Curing intensity Meter 5-10 is the right answer and an effective method of quantifying UV output. It provides the operator with instant feedback as to the performance of his spot curing system. M007-555 UV Spot Curing Meter Bushings for above.